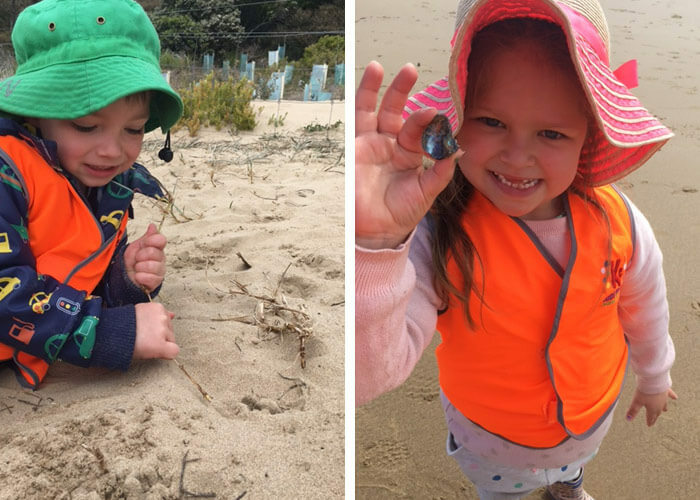 Kids Club Torquay has the great fortune of being so closely located in a beautiful beachside town. Since the end of 2016, the educator team had been discussing and brainstorming the best ways in which to offer learning programs to the children as a meaningful and relevant way to form connections with the town, environment, community and each other. And this is how ‘beach kinder’ came about. 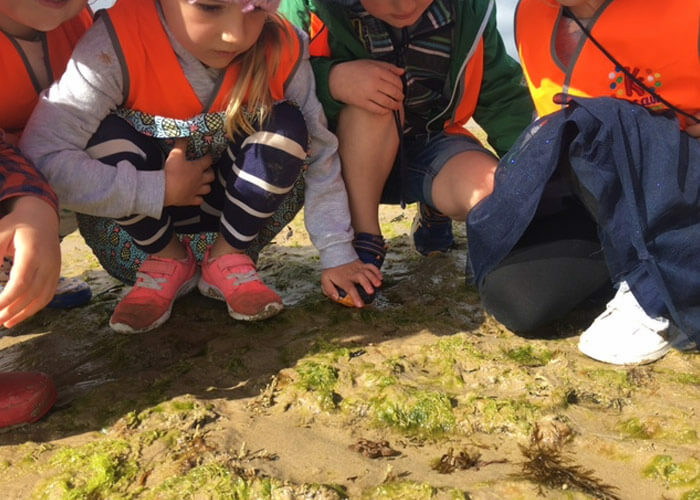 Inspired by other centres’ ‘bush kinder’ experiences, the educators decided to do their own kind of bush kinder but tailored to their own amazing environments and community. After hearing lots of positive and inspiring stories from some other kindergartens in the area, they set to the task of creating a beach kinder session where children could spend time learning from and engaging with the natural environment in their community with their peers and teachers in non-structured and inquiry based play and learning form. Walking the 30 minutes down to the beach, the children were chatting excitedly, pointing at various things in the environment and waving at community members and discussing what they would do when they arrived. 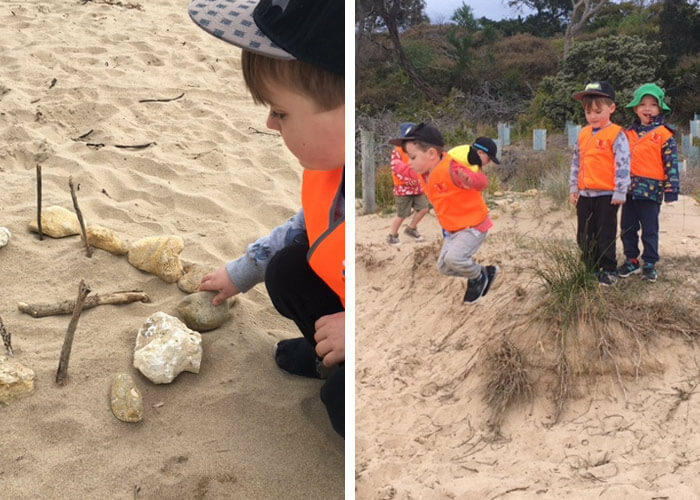 Once they got there the children set off investigating, scouting the boundaries, digging up the sand or looking at different creatures washed up from the tide and describing their various features and how they felt on their skin and in their hands. They created imaginary group games and rolled, jumped and leapt off the sand dunes onto the cushioning sand, giggling wildly as they went. 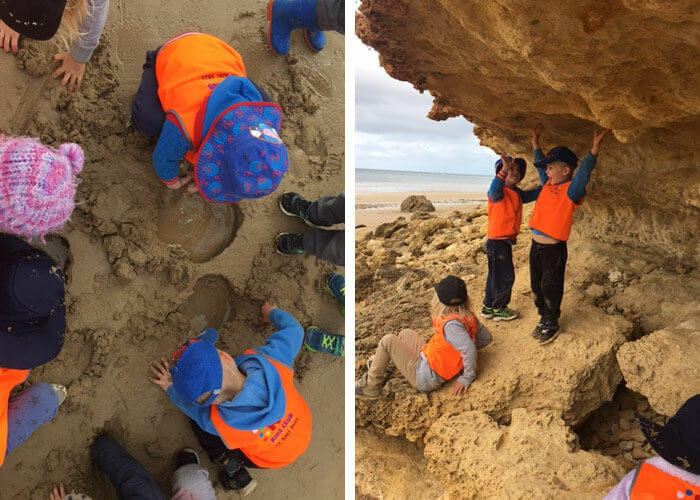 It took a lot of planning, revising, reflecting and patience to get this program off the ground and without our hard working group of educators, this beach kinder experience would not have been possible. 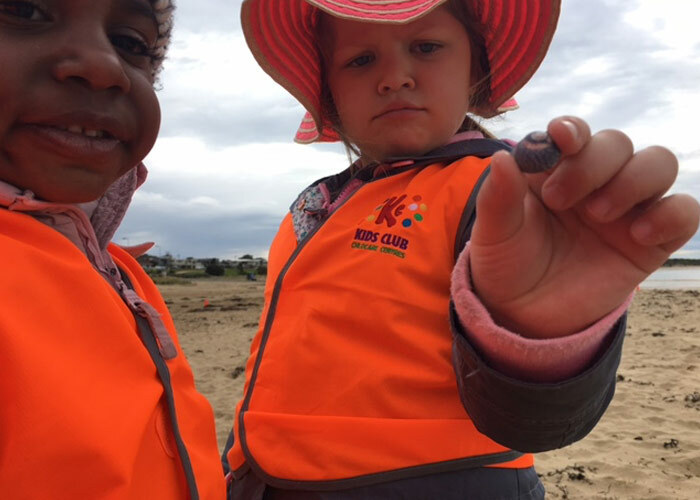 We can’t wait to hear about Kids Club Torquay’s upcoming excursions! To explore this early learning centre in Torquay for yourself and to book a tour, head here.